Why buy pizzas? Make them at home! The Maxim Kitchenpro Pizza Maker lets you create your ideal pizza at home. No longer will you need to buy take away pizzas, instead you can make them at home with your favourite ingredients. The Maxim Pizza Maker features dual non stick cooking plates for even cooking on top and bottom of your pizza. 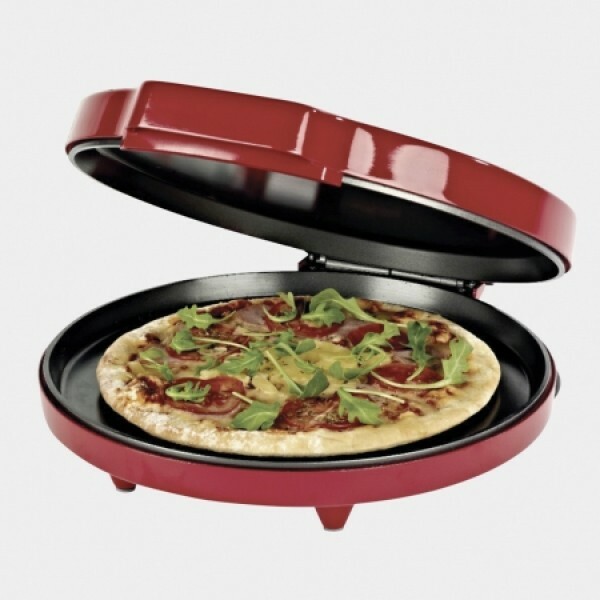 The Maxim Pizza Maker is so versatile you can even cook omeletes, cakes and much more - its just up to your imagination! Make full large sized 12 inch pizzas. Non-stick cooking plates for easy cooking and cleaning. Stores in an upright position.